It sounds almost magical. Create content for your business and you create profit for your business. The more content you create – presuming it’s good quality of course and targeted to the interests of your market – the more customers you reach and attract. Think about how you come across businesses you end up purchasing from. Content on blogs, content on social media, content on YouTube, content via email, and so on. This is the root of content marketing. You market your business through the active creation of content. And that content continues to work for you often long after its initial creation. People find it via search engines or via other online links or recommendations. They read it, view it or otherwise partake in it, and this begins a relationship you have with them. This relationship is further fuelled and strengthened by more content. At some point in that relationship, they may part with their cash and become a customer. 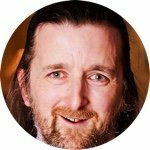 Ongoing communications – yet more content – encourage follow-on purchases. Did you know it can cost between five and ten times more to acquire a new customer than to keep an existing one? It pays to keep in touch. The issue of course is in how to create all that content to keep your marketing machine all fired up. The good news is that you don’t have to create it all from scratch. Presuming you have some content already – and most businesses do – you can reuse and repurpose it in creative ways. As well as opening up new audiences for your business and creating new lead acquisition channels, it also means your original investment in content creation is able to bring even more reward. 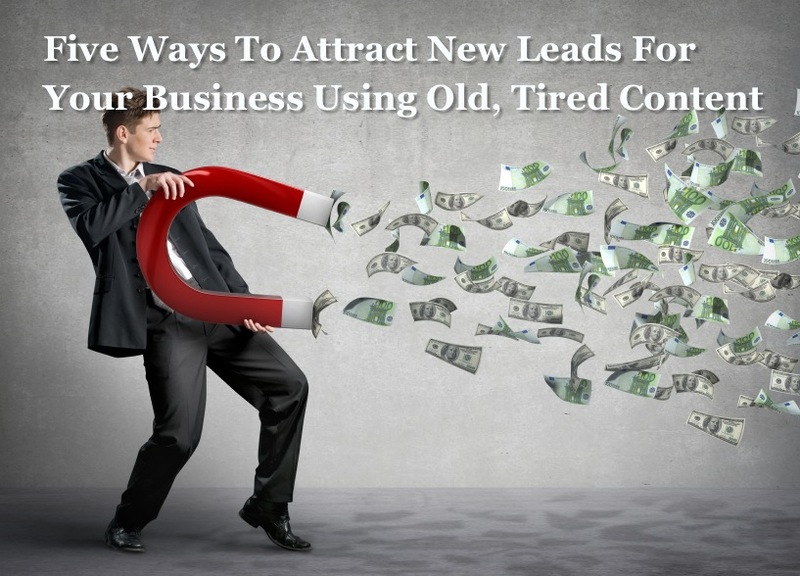 Here are five ways in which you can attract new leads for your business using old, tired content. A new blog post can often be created from an old blog post, by simply refreshing the information contained within it. It could be that the post you wrote a couple years back now has less relevance, and needs some of the information updating to make it more relevant to the issues and concerns your potential customers are having today. Or it could be that a slightly different angle on the same information gives you a new post you can now publish. With the old post to base it on, it’s a lot quicker to create the new post than it normally would be. With YouTube the world’s second largest search engine, if you only have content in written form, you’re missing out on a huge potential audience for your content – and potential prospects for your business – who would otherwise never come across you. With YouTube videos also listed in Google search, it’s also another way to increase your search engine visibility. SlideShare is one of the web’s top 120 most-visited websites, averages 60 million unique visitors a month, houses more than 15 million uploads, and is a great way to create engagement. It’s a huge audience of potential new leads for your business. And the content doesn’t have to be only viewed – or engaged with – on SlideShare itself. You can easily embed its presentations on other websites … you can even embed it in a tweet. SlideShare presentations gain most of their views through search engines, with presentations often listed in the top ten search results. Again, it’s another way to increase your presence on search and attract new leads into your business. In the same way as for videos (see above), create a presentation based on some old content. Kill two birds with one stone and create a presentation that can be both viewed as a video on YouTube (see above) and uploaded to SlideShare as a presentation. Stuck on what to tweet to keep your Twitter feed fresh and attract new followers? Go through old content for new material. A blog post for example can provide the source for potentially dozens of new tweets, which you could schedule out over time using a tool such as Hootsuite. The more you tweet, the more visible you become on Twitter, the more engagement you attract, and the more leads you can encourage into your business. 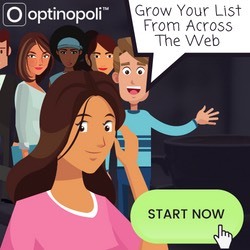 Top article directories are some of the most highly-trafficked sites online and can be a prime source of new lead generation by writing articles designed to siphon away some of their traffic to your own websites and/or social media properties. Rewrite old blog posts for example into new articles – recommended 500-800 words – that can then be distributed to top article directories and other online publishers. At the end of the article, provide a resource section where you encourage readers of the article to visit your website. Again, this can further increase your search engine visibility by multiplying the amount of content you have out there, and reach new audiences you wouldn’t otherwise reach. Of course, this list is not exhaustive. There are many other opportunities in which you can repurpose old content to great effect as new lead generation tools. Use as the basis of eNewsletters, as new posts on Google+, Facebook and LinkedIn, as guest blog posts on other blogs, compile into an ebook, create an infographic, and so on.